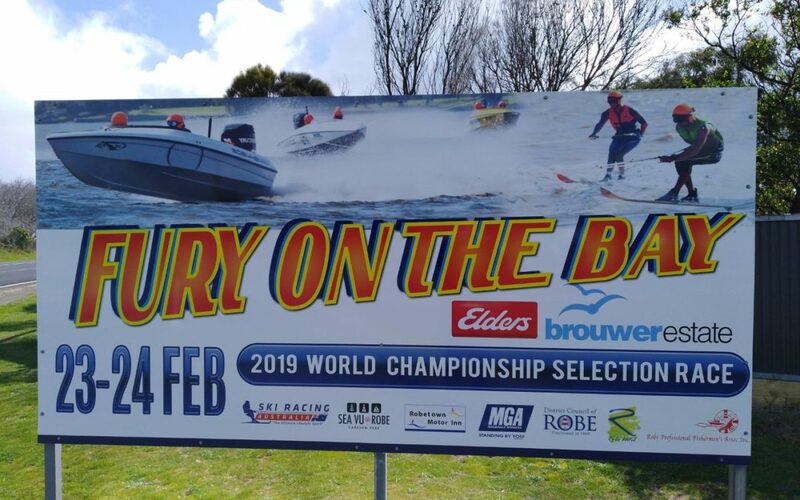 Ski Racing Australia qualifying races for World Championship trials selection of the Australian Ski Racing team to represent our country at the World Championship in Vichy France, September 2019. Between 60 and 80 boats racing on the bay, 100 metres off the beach, on a course that will extend from the entrance to the breakwater to the outlet on long beach. This will be great for spectators, as Council have agreed to close off Mundy terrace so spectators can take full advantage of the spectacle. The origin of Goingtoplaces.com is from the founders experience in the events and hospitality industries. Still to this day very active in setting up, developing and managing events it is the advent of the digital mediums which make it exciting behind the scenes. 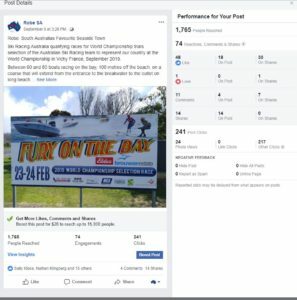 In the past six months setting up the Australian team selection Qualifying race at Robe for the World Titles of Ski Racing being held in Vichy, France in 2019 has been enlightening and satisfying. 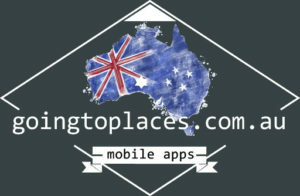 As well as listing in the Robe SA App and coming listings in Goingtoplaces.com’s established app ecosystem direct to residents and travellers in the targeted South Australian and Victorian regions. Utilizing the Major Events listing category for detailed description of the World Qualifying event and direct Push Messages to users mobile phones. This enables the Event organizers to be directly engaged with the spectators needs and wants well before the event begins. For the sponsors the direct access to the market audience delivers sales and value for the dollars invested in the event.